Luigi Wewege is the Senior Vice President of Caye International Bank headquartered in Central America, Principal of Palmetto Global Ventures a financial consultancy firm focused on digital banking and FinTech solutions, and serves as an Instructor at the FinTech School which provides online training courses on the latest technological and innovation developments within the financial services industry. Outside of his main roles Luigi additionally serves as a Mentor at FinTech Go a startup accelerator for financial technology companies, as a Team Member of the FinTech Portfolio the world's 1st member-owned FinTech innovation ecosystem, and as a speaker for the Silicon Valley Innovation Center. 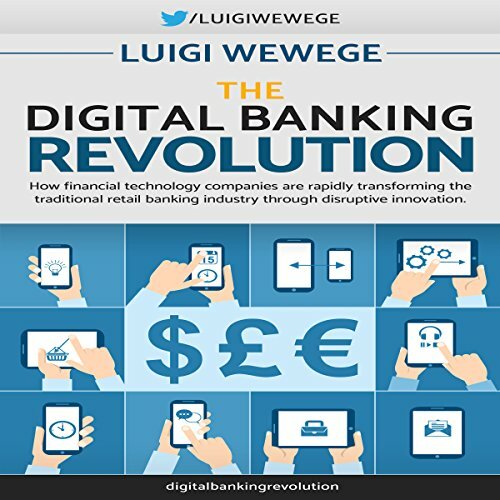 Luigi is also the published author of: The Digital Banking Revolution which is available in audio, kindle and paperback formats throughout all major international online bookstores. For more information about Luigi, please visit his personal website: www.luigiwewege.com.